I just finished reading a delightful book, Empty Mansions by Bill Dedman and Paul Clark Newell, Jr., and was surprised to find it had a Girl Scout connection. 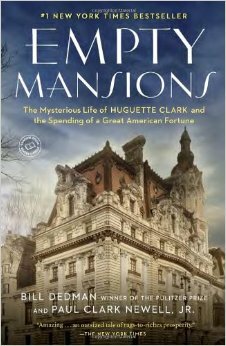 The book tells the life story of Huguette Clark, one of America’s wealthiest women, who died in 2011 at age 104. Huguette was decidedly eccentric. She was rarely seen in public, never met face-to-face with the lawyers, accountants, and household staff that she employed for decades, and spent the last 20 years of her life living in a hospital room, despite being quite healthy. She married briefly — it lasted barely a year — and never had children of her own. Her father, copper and railroad baron W.A. Clark, was nearly 70 years old when she was born and had five children from his first marriage. However, she insisted she had a contented life, filled with painting, music, developing exquisite dollhouses for her huge antique doll collection, and sharing her wealth with a variety of charities and friends. Huguette’s childhood home had art galleries, a pipe organ, and an infirmary. 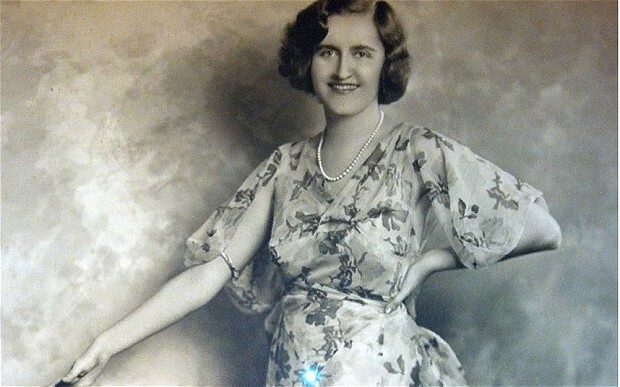 She left an estate of $300 million that triggered a huge rush for treasure among her far-flung relatives, lawyers, accountants, and private nurses. Clark also left three luxury apartments (42 rooms) on Fifth Avenue in Manhattan; Bellosguardo, a 22,000 square foot estate in Santa Barbara that was kept staffed and ready for a visit at 48 hours’ notice, although she hadn’t been there since the 1950s; and Le Beau Chateau, a 42-room mansion in New Canaan, CT, that she never bothered to furnish, much less visit. Bellosguardo, the Clark summer home in California. The Corcoran Gallery of Art in Washington also became ensnared in the complicated estate. Huguette and her father both were patrons of the gallery and serious art collectors. 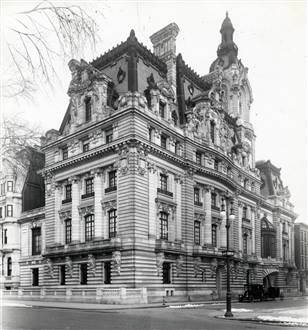 Clark left his enormous collection to the Corcoran upon his death. 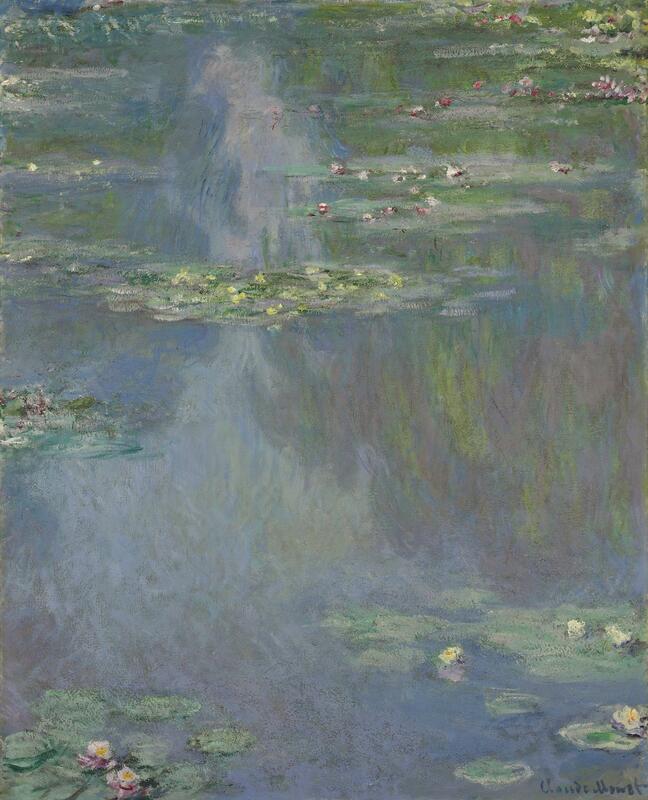 She left a portion of her estate to the Corcoran as well as the proceeds ($24 million) of the auction of Claude Monet’s Nympheas water lilies painting, which had hung in her home since 1926. Claude Monet’s Nympheas hung in Huguette’s living room for decades. What is the Girl Scout connection? I bought the book while I was in New York doing research at GSUSA. This was during the great blizzard of January 2015 and with all the dire warnings of lost power, I realized I had no actual book with me. If my computer lost power, I would be bored silly in my hotel room. I left GSUSA and walked up Fifth Avenue to a Barnes and Noble, where I purchased Empty Mansions. Little did I know that I had passed Huguette’s apartment building at 907 Fifth Avenue and came near the site of her childhood home at 77th Street and Fifth Avenue. Pretty weak Girl Scout ties so far, right? But perhaps you are familiar with Huguette’s older sister, Andrée Clark? As in Camp Andrée Clark, the first national Girl Scout camp? 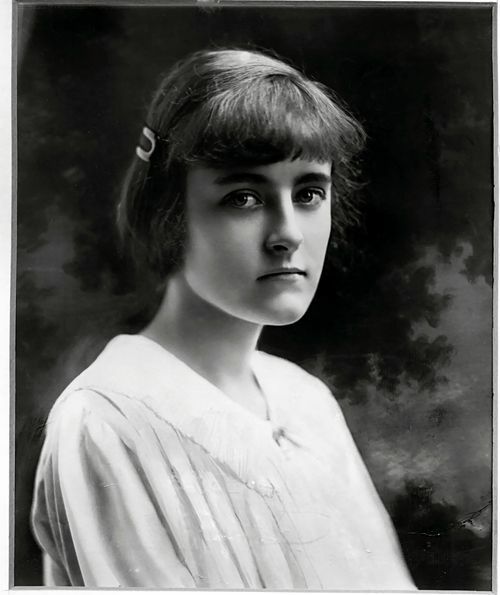 Andree Clark, Huguette’s older sister, died of meningitis in 1919. It is the very same girl. As the story goes, Andrée was a quiet and withdrawn girl who joined the Girl Scouts. She’d had a hard time adapting to New York after living in Paris for many years. When she died a tragic death just shy of age 17, her parents read her diary and discovered how much Andrée loved her troop and the friends and activities it offered. In her memory, Mr. and Mrs. Clark and Huguette donated 135 acres of land in Briarcliff Manor, NY, for a camp. Huguette, left, watches her father, W.A. Clark present the deed for Camp Andree Clark to Jane Deeter Rippin, National Director. As for Huguette, she never joined the Girl Scouts, and the biography does not explain why. Perhaps her life would have taken a different turn had she been a Girl Scout. For more about Huguette and photos of her homes and artwork, see the ongoing series of articles by NBC or the book’s website. This entry was posted in Book, Camps and tagged Andree Clark, Camp Andree Clark, Corcoran Gallery of Art, Girl Scout, Girl Scout camps, Girl Scout history, Girl Scout memorabilia, Girl Scouting, Girl Scouts, GSUSA, GSUSA camps, Huguette Clark. Bookmark the permalink. 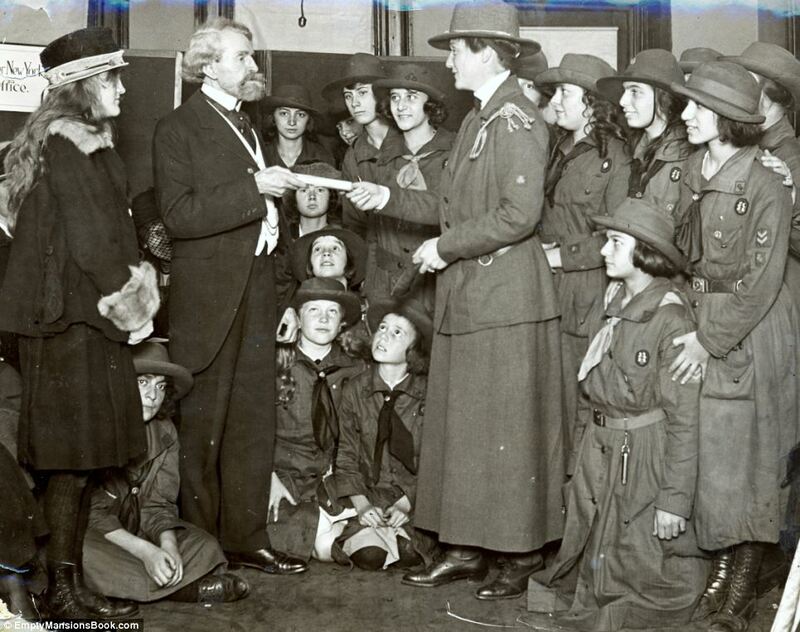 Did you notice in the paragraph about Andree joining Girl Scouts in 1918-19 that her uniform was a blue middy blouse and skirt. Either the research was limited or we are owed an explanation of why the daughter of the second richest man in America (or was he first) was wearing an out of date uniform. I am way out here on the West Coast (On my council’s heritage committee) and am so glad I am able to share the work you are doing. Margaret, do you mean the photo of Andree? There is a nearly identical portrait of Huguette so I think the blouse was for the photo session, not her uniform. Thank you for asking! That’s fascinating, Ann! I’d heard of the eccentric Ms. Clark and I think I bought the book to read (haven’t gotten to it yet) but I’d no idea of the GS connection or even that she had a sister – wasn’t familiar with that camp either. I thought Huguette was an odd only child. So sad about her sister. Can’t wait to read the book!